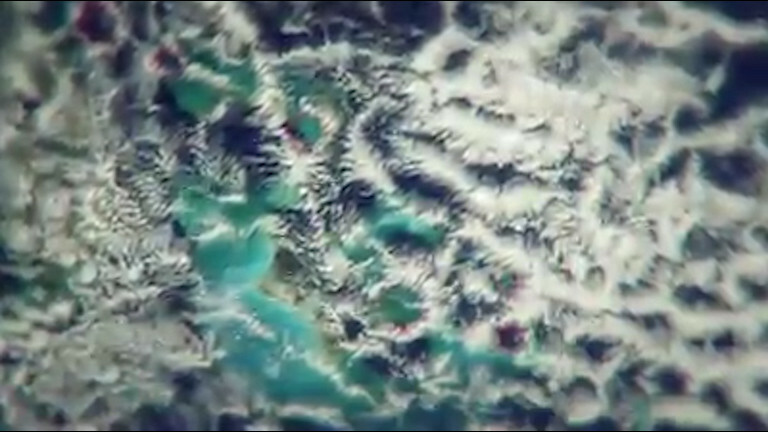 Is these hexagon clouds, the 'key' to solved the Bermuda Triangle mystery? 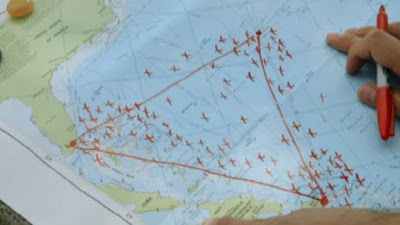 For centuries the Bermuda Triangle is always associated with some number of cases of mysterious disappearance of ships or aircrafts in the region. 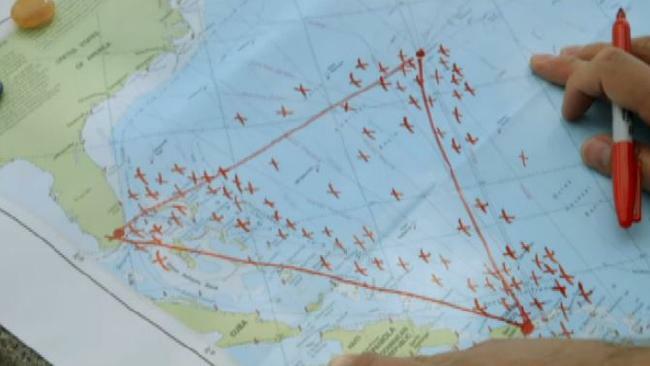 Located between Miami, Puerto Rico, and the island of Bermuda, the mystery of the Bermuda triangle that over the years studied by scientists, and thought to have been solved now. A new kind of theory states that the bizarre clouds are connected with the 'air bombs' has a speed of 273 kilometers per hour (170 mph), which could topple the air and sea transporters are passed through around the north-west region of the Atlantic Ocean. As quoted by News.com.au on Sunday, October 23, 2016, now the mystery could finally be solved after the meteorologists speaking to the Science Channel's What on Earth revealed their findings. 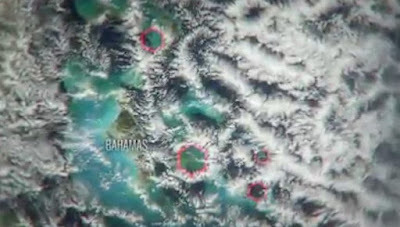 Allegedly a strange shaped clouds formed above the Bermuda triangle could explain why dozens of ships and planes mysteriously disappear every time passes through these sea area. 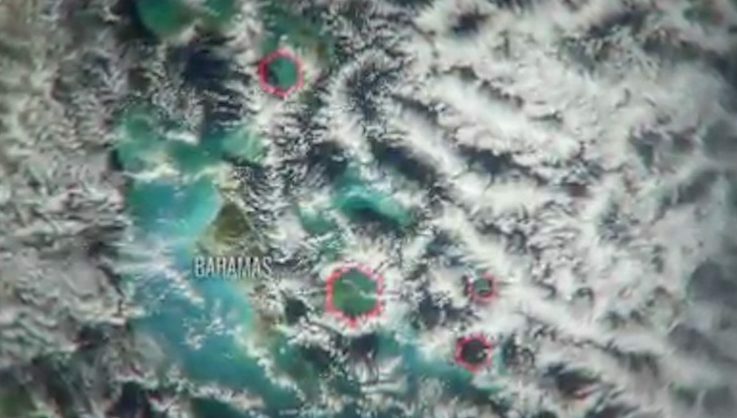 The research carried out by using the satellite radar images, and they have found a strange 'hexagonal' shaped clouds with a width of 32 km (20 miles) and 80 kilometers (50 miles), which can make the sea waves rose as high as 13 meters. "Normally we do not see the clouds at the end of the straight angles like this. The clouds mostly irregularly shaped," said Dr. Steve Miller of Colorado State University, as quoted from USMagazine.com. Meanwhile Dr. Randy Cerveny of the University of Arizona adds that the 'air bombs' is formed from a process called microbursts (a strong winds with the movement direction swooping to the ground which causes air deviation). "These strong wind looks like a storm can easily sink a ship. And the microburst then hit the ocean so as to form the waves are sometimes very large," said Cerveny.